Wondering what employment law or the gig economy is? Not sure of the difference between independent contractors and workers? This blog explores these things and how they affect major companies like Uber and Deliveroo. Read on to find out more! The gig-economy can be defined as a labour market characterised by the prevalence of short-term contracts and freelance work as opposed to the traditional 9am – 5pm jobs. Approximately five million people work in the gig economy and Uber and Deliveroo are just two companies which thrive as a result. Essentially, gig-economy workers get paid for the “gig” they do. You get paid for the hours you put in or the tasks you do without having to accept all work that comes your way. Is the Gig Economy a Positive or a Negative? On the one hand, short-term and freelance work is positive since it allows people to have more flexibility. In theory, you can work more to earn more in one month or work less to have more free time the next month. On the other hand, employment in the gig-economy has been labelled as exploitative since it allows businesses to hang on to workers and control them without guaranteeing them any work or giving them any employment benefits. It is worth setting out a very simplified summary of employment law. Independent contractors are self-employed individuals who often perform work for various clients. They pay their own tax, supply their own materials and can dictate their own hours. Independent contractors have no employment law protection. In contrast, employees are fully protected under employment law since they are controlled by their employers and are obliged to perform the work they are given personally. Workers are a hybrid category; they are not as independent as self-employed individuals but they are not as strictly controlled by employers as employees. Therefore, workers get some employment law protection, albeit not as much as employees. In return, you forfeit some employment rights under the Employment Rights Act 1996 (ERA). This means that, (among other things) your employer does not need to pay tax on your behalf, does not have to pay you holiday pay and you have much more limited rights to bring a claim in court after being dismissed. You also may not get the benefit of being entitled to the national minimum wage or protection under the Working Time Regulations 1998 if you are not classed as a worker. Are Uber Drivers Workers or Independent Contractors? In 2016, the Employment Tribunal heard the case of Aslam and Farrar v Uber. In this case, Uber drivers argued that they should be classified as “workers” rather than independent contractors. The court highlighted that the reason for granting employment law protection was to address the inequality in bargaining power between employees and employers. Employees are much more dependent on their employers. In contrast, independent contractors are much more self-sufficient and tend to have greater bargaining power. Ultimately, the tribunal decided that despite the complex documentation and elaborate legal terms, which tried to prevent Uber drivers being classified as workers, the reality of the situation did make Uber drivers workers rather than independent contractors. In reality, Uber imposed restrictions on how the drivers could work which meant the drivers could not be seen as independent enough to be self-employed. What About Other Gig Economy Companies? The more recent case of Pimlico Plumbers v Gary Smith (2017) was decided in the Court of Appeal and this is currently the most authoritative employment law decision in relation to the gig economy. Once again, the court decided that the terms of the contract did not reflect the reality of the actual working relationship. As a result, Mr. Smith was entitled to some employment law protection as, in reality, he was a worker. Other gig-economy companies have also fallen foul of their employment law obligations. In January 2017, a City Sprint courier won the right to be classed as a worker while some Deliveroo drivers have previously said they intend to take legal action to obtain workers’ rights. Do Contracts Always Reflect Reality for Workers? The courts and employment tribunals have so far maintained the existing employment law protections in the gig economy by focusing on the reality rather than what an agreement between parties tries to achieve. 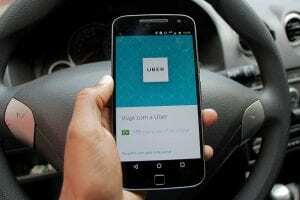 Crucially, even where companies such as Uber seek to label their drivers as independent contractors, the courts may still find that they are actually workers or employees if that is how the company treats them in practice. However, the tribunal in Aslam and Farrar v Uber stated that it is possible for a company to validly engage self-employed workers. Nevertheless, many gig economy companies have so far failed to prove that their contract terms reflect the reality. Deciding on law? At Aspire, hear from qualified lawyers, inspiring keynote speakers and education experts - just £10 per ticket! Are you a teacher interested in booking a Commercial Awareness Workshop at your school? Get in touch to find out more!